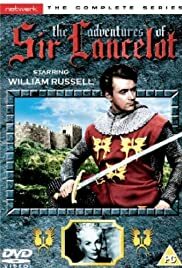 There are many things historically wrong with this series; for starters, the longbow (think Robin Hood) didn't come into use until the 13th century or thereabouts, whilst it's generally conceded that if Arthur were a historical person, he lived about the 8th century. The costumes are all wrong --- again more close to those of Robin's time. Knights in armour didn't just "mount up"; they needed a hoist to get on a horse. The writings of Euclid were unknown to the Arthurian age; so Merlin's lever was an anachronism. In several scenes men remained seated when women (even the Queen) were standing -- definitely a no-no until the 20th century. There are other, lesser faults, but, in general, this was a Robin Hood setting with "men in armour" instead of tights.